BRIEF HISTORY OF THE REGIMENTS. A warrant of 16th February 1694 was granted to Lieutenant Colonel Farrington an officer of the Coldstream Guards, who raised a Regiment of foot in London at the hieght of the wars with France. The peace of Ryswick ended the conflict and in 1698 the Regiment was disbanded. The War of the Spanish Succession began in 1701-(lasted until 1714). A second warrant was issued to Colonel Farrrington on the 18thMarch 1702 to raise a Regiment of 12 companies, Farringtons Regiment of Foot. One company was based at Worcester and so the link with the county of Worcestershirebegan. The Regiment moved to Ireland and onto the low countries with the Duke of Marlborough`s Army . Seeing their action at the Battle of Ramillies 23rd May 1706, thus becoming their first `Battle Honour`. 1751 The system of naming regiments after their Colonels changed, and all regiments were given a number based on the date of their formation. Farringtons became The 29th . From 1746, over a period of 60 years the 29thspent most of the time in North America, during this period a detachment of the 29thwere guarding the custom house at Bostonand confronted by a violent mob. The order to Open Fire was issued and resulted in the death of 5 people and persons wounded. After the ensuing trial the regiment were ordered out of Boston and became known as the `Boston Massacre`. The Glorious 1st of June 1794. A shortfall in Marines saw detachments from the 29th serve as Marines aboard Lord Howe`s Channel Fleet. They served aboard, "Brunswick","Ramillies", "Glory", "Thunderer" and "Alfred". Action was brought to at 09:15am with French warship escorts of a relief convoy to France from America. Fierce action was engaged by "brunswick" the crew aboard were played into battle to the tune `Hearts of Oak` by the ships band an a drummer from the 29th. The French warships were hard hit, but just got to the safety of Brest. The 29th suffered losses in this action and the regiment were awarded the Naval Crown to be borne on thier colours. The Action being so far out in the Atlantic is Known by the date `The Glorious 1st of June`. The 29th went onto serve in the Peninsular War, claiming to be the first to land on the 3rd of july 1808, going on to see action at Rolica, Vimeiro and capturing two enemy colours at Talavera. The 29th suffered over 300 casualities at Albuera, returning to England to recover. The 29th were sent to the Netherlands but were too late to take part in the Battle of Waterloo. The 29th arrived in India in 1842, serving with british troops under Sir Hugh Gough at Ferozeshah, 21st December 1845 beating the Sikh army under Lal Singh. Also at Sabraon, losing 436 men of the 29th from the two engagements. War broke out in 1848 with battles taking place at Chillianwallah and Goojerat, this was the last time the Colours were carried into action. The Cardwell Reforms of 1881 saw the numbering of regiments change to the association with counties and the 29th becoming the 1st Battalion the Worcestershire regiment. The barracks at Norton, just outside Worcester became the depot for the Worcestershire Regiment. The 36th of Foot 1701 – 1881. In 1701 warrants were issued to raise two regiments for the army of William III. One was issued to a William Caulfield, the 2nd Viscount Charlemont who raised a regiment of infantry in Ireland. Charlemont`s Regiment was one that was raised for sea service, so they could fill in as marines if the situation arose. The following year they were sent on a naval expedition to Cadiz under the Duke of Ormonde. The differences between the Army and Navy wrecked the operation. After Cadiz, a small force including the 36th were sent to the West Indies. There they attacked French territories, but sickness took a greater toll on the men than the losses from the battles. In 1705 the regiment saw action on the Iberian Peninsula, laying siege to a fortress at Barcelona, that capitulated on the 14th October 1705. Then, on to Valencia and Madrid. In a battle against the French at Almanza on the 25th April 1707 the 36th were heavily defeated and suffered many casualties. The 36th served a small part in the Battle of Culloden 1746. In 1758 a second battalion was raised becoming the 74th of Foot. 1783, saw the 36th Regiment of Foot sail from their barracks in Ireland to take part in the battle between the Honourable East India Company And the Sultan of Mysore backed by the French. The Sultans son, Tipoo, continued the fight after the death of his father and the end of the support by the French. The 36th were heavily involved in fighting Indian forces under the command of Lord Cornwallis Governer General of India. In the final stages of war in India the 36th took part in taking Seringapatam, Tipoo`s capital and the final action, the siege of Pondicherry. 1793 William III granted the Regiment to bear `Hindoostan` on their colours for service in India 1783-1793. The 36th `Herefordshire` Regiment of Foot, were re named, The 2nd Battalion, The Worcestershire Regiment. The Worcestershire Regiment served in the South Africa campaigns against the Boers. The 2nd battalion arrived in 1899, with the 1st battalion arriving in 1900. Two more battalions were formed, with the 3rd battalion serving in Ireland, England and South Africa, and the 4th serving in Bermuda, Barbados, Malta, India, Burma and England. Besides the four regular Battalions, there were two Militia and two Territorial Battalions. From this the Worcestershire Regiment went on to grow to twenty two Battalions. The 1st Battalion were in action at Neuve Chapelle 1914 & 15, Aubers Ridge, Bois Grenier 1915. At Neuve Chapelle 12th March 1915, A German attack was driven back with heavy, accurate rifle fire and then went on the offensive. In major action on the Somme 1916, Ypres 1917, St. Quinten, Rosieres, Villers, Brettonneux, Aisne and Scarpe. The 2nd Battalion saw action at Mons, Marne, Aisne and Ypres 1914. October 1914 a German advance was threatening to break through to the Channel ports. On the 31st of October 1914 the 2nd battalion were in reserve to the west of Polygon Wood, being almost the last available battalion in the British reserve. Mustering no more than 500 men, Battle had taken its toll on the men, leaving the battalion disheveled, but in good fighting order. The respite had given the men chance to eat and sleep and get their strength back. As the day wore on the German artillery was getting more intense with the enemy infantry increasing in ever growing numbers. This enemy advance had become too much for the British troops in the line with units being overrun and the threat of a German breakthrough becoming a reality. Gheluvelt had been taken by the enemy forces, and the decision came to put the 2nd battalion on the attack. A charging assault on the Gheluvelt Chateau went ahead, through shellfire killing over a hundred of the men. They rushed onto the Chateau beating off the Germans, and with the remnants of the South Wales Borderers, still defending, who without their defence the Germans would have carried on with their attack. The battalion went on to drive the Germans out of the Village and stopping the collapse of the British line at the Menin Road. A quote of the time was ` the Regiment that saved the Empire`. The 2nd Battalion`s main actions in 1915 were, Festubert, Loos and the Hohenzollern Redoubt. The Somme in 1916, Arras and Ypres in 1917. The last twelve months of the war they were at Lys, Hindenburg Line and Selle. The 3rd Battalion was in action at, Mons, Le Cateau, Marne, Aisne, Messines, Armentieres and Ypres in 1914. 1915, Hooge. The Somme 1916. Messines and Ypres 1917. Somme, Lys, Selle and sambre in 1918. 4th Battalion was at Galipolli 15 – 16. Onto the Somme, Arras, Ypres and Cambrai in 1917 and Messines, Baillieul, Ypres and Courtrai in 1918. The 1st World War accounted for 9,463 men killed from 130,000 Officers and men. Soldiers of the Worcestershire Regiment earned 9 Victoria Crosses. After the First World War the 2nd and 3rd Battalions went to Dublin, Ireland, in 1919 to control the violence that had flared up. In 1921 a temporary cease in hostileties came about and the Regiments that had a 3rd and 4th regular battalions were disbanded. The Worcestershire Regiment was one in five Regiments to have such Battalions. Between the wars the Worcestershire Regiment spent time in China, India, Malta and England. The 1st battalion went on active operations to Palestine for what was known as the `Arab Revolt`, maintaining `public order and security`. Losing seven men in the troubles. In 1939 the 1st Battalion went from peace keeping in Palestine to North Africa, Abbysinia & Eritrea, now Ethiopia. These were Italian held territories, Italy in the Axis forces put up a stiff fight, but at the battle of Keren the Italians surrendered. Ensuring that these territories were now in Allied hands and that meant the Suez and supply lines were safe. 1941, the advance of the Germans in support of their partners the Italians saw the 1st Battalion move to the WesternDesert. Here there was bitter fighting against the axis forces, cutting off Tobruk. On land the axis forces had the upper hand, with numbers of men and supplies. The 1st battalion put up a defiant defence against the enemy armour, losing all of their anti tank guns in the process. In 1942 Tobruk fell, some of the 1st battalion escaped, but a good number were taken prisoner. The remainder of the 1st reformed in 1943 with the 11th Battalion, forming a new 1st battalion. The new 1st landed in Normandy in June 1944, playing a major role at Caen. In August of that year the 1st were at Vernon with the 43rd Wessex Division, Crossing the Seine, the first to do so and under heavy fire. Vernon was liberated at the end of August. The 1st Battalion fought a hard campaign through France, Belgium and Holland. In Operation `Market Garden`, The Worcesters tried hard to reach the forces trapped at Arnhem but was involved in heavy fighting themselves. They fought hard keeping open the corridor for the Allied advance. They crossed the Rhine in March 1945. Burma. Our forces fought through dense jungle and open plains with the help of the Naga tribesmen, acting as scouts and stretcher bearers. Rangoon the Japanese fought to extricate themselves from the campaign suffering very heavy losses in the process. The dropping of the atomic bombs curtailed any further major campaigns, bringing about the end of the Second World War. In 1947 the second Battalion was disbanded. 1967 saw the reduction army units and the 7th Battalion Worcesters becoming B Company in the Mercian T.A.V.R. Based at Kidderminster. Hurricane Hattie Relief W.I. 61. England jungle training BWI 64. Gibraltar, one company at Tobruk 65. 1970. Bulford 8th February amalgamation with the Sherwood Foresters (45th Notts & 95th Derby ) to become 1st Battalion The Worcestershire And Sherwood Foresters 29th / 45th , Prince of Wales` Division. The county regiment of Derbyshire, Nottinghamshire and Worcestershire. Londonderry at this time it was known as a `No–Go` area. One fatality occurred during this period that of Cpl Robinson A Coy. A resident tour of 74- 76 was managed without loss of life, despite word on the street of `kill a Woofer`. Cyprus was undertaken by 1 WFR, for the UN. Northern Ireland in Omagh on internal security duties. On their return in 2001 they were stationed at Chester, training for Arid Conditions, followed by another short tour in South Armagh in 2003 on `Internal Security Duties`. 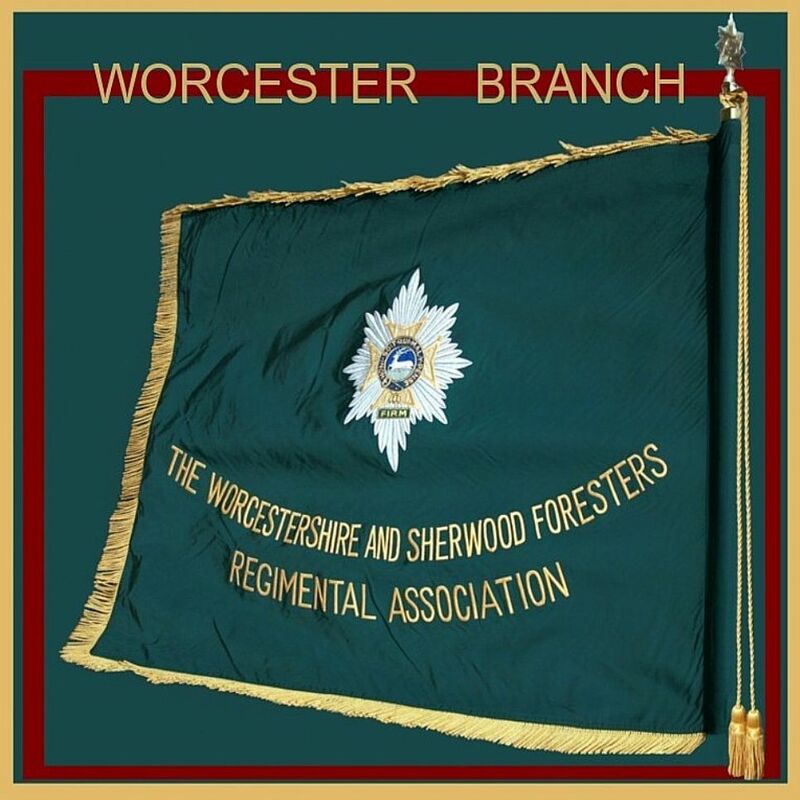 On the 16th December 2004 the then Secretary of State announced under a review of army structure the 1st battalion The Worcestershire And Sherwood Foresters ( 29th/45th ) will become The 2nd Battalion The Mercian Regiment (Worcester and Foresters). With the Staffordshire Regiment becoming 3rd Battalion Mercian and The Cheshire Regiment becoming the 1st Battalion The Mercian Regiment. Kabul 1WFR had a notable success in breaking terrorist cells with the aid of good intelligence and the Afghani force. Raids resulted in Arrests, seizure of cash and weapons. They were in force on the streets to ensure Terrorist activity and violence towards voters was at a minimum so the start of democracy could go ahead, resulting in 90% of the electorate turning out to vote. Afghanistan, while there the re-naming of the Regiment to 2nd Battalion The Mercian Regiment(Worcesters & Foresters) Occurred.